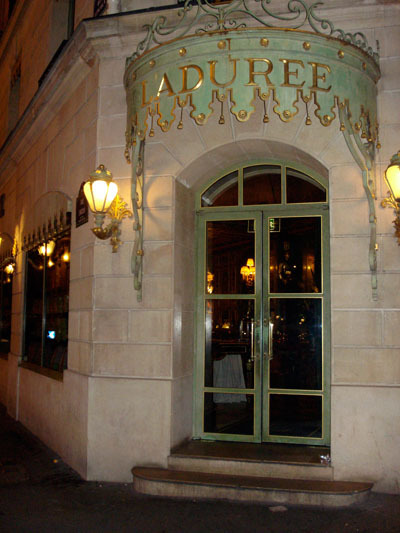 LadurÃ©e has multiple locations in Paris. They are mainly a patisserie but also have a tea salon and/or a restaurant in certain locations. I visited the restaurant located on the iconic avenue des Champs ElysÃ©es as I arrived late in Paris and this particular one stays open relatively late. The decor, designed by the very famous Jacques Garcia, is a refined version of the classic 18th century French style. The restaurant is quite comfortable. 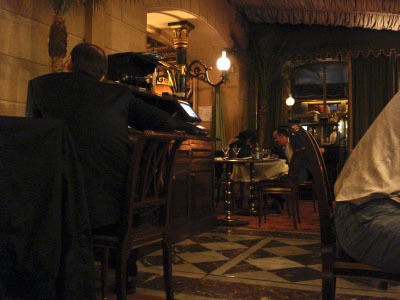 I would advise to get a table on the first floor which is more cozy and definitely quieter. The service was very good. Unfortunately, while our waiter made genuine efforts to please us, a breakdown of they computer system meant that the whole operation was running in slow motion. 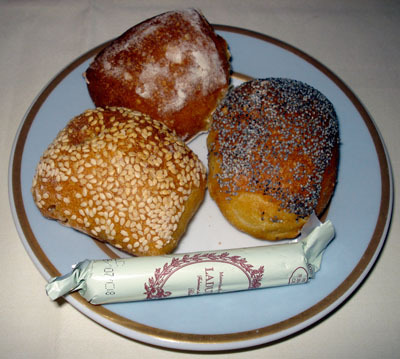 The bread selection was very nice. The green candy looking green cylinder on the photo is actually butter. 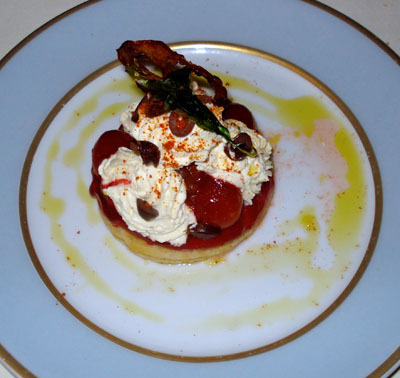 I started with the tomato Saint-HonorÃ©. That very original dish is composed of a kind of tomato chutney laying on a savory pastry, decorated with roasted chery tomatoes and basil whipped cream. Not only it was original and delicious but the presentation is quite spectacular. As you can see in the photo, it look very much like a desert. As main course, I had the blue fin tuna. The tuna, moist and tender, was perfectly executed. 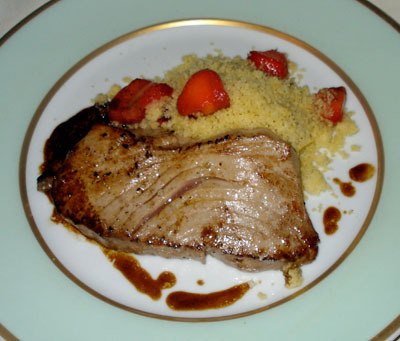 It was served with rose flavored semolina and fresh strawberries. While the flavor of the semolina was exquisite, it was a bit dry. The strawberries were unexpected but definitely a good complement to the dish. For desert, I had a rose and raspberry Saint-HonorÃ©. 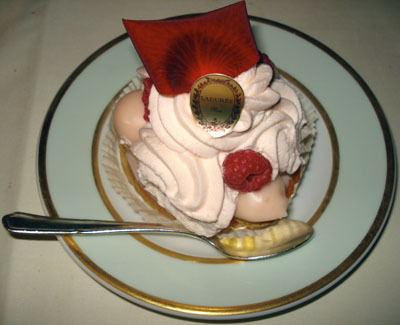 The Saint-HonorÃ©, a symphony of pastel rose colors was decorated with fresh raspberries and a red rose petal. Both the custard and the whipped cream are rose flavored while the heart of the pastry is a raspberry stew. And yes, it does taste as good as it looks. Around $60, including drinks (a glass of wine, mineral water and coffee) and tip. Considering the restaurant, the location, the food and the current exchange rate (close to 1.6 dollars for 1 euro at the moment), LadurÃ©e is definitely a good value for money. I will certainly come back.